Chiwetel Ejiofor is an English actor of Nigerian origin who has had an amazing career. The award-winning British actor is a household name in Hollywood popularly known for his star role in the 2012 historical drama 12 Years a Slave. Chiwetelu Umeadi Ejiofor was born 10 July 1977, in Forest Gate, London, England, to Nigerian parents Obiajulu and Arinze Ejiofor, both of Igbo origin. His father was a doctor and a musician while his mother was a pharmacist. Chiwetel lost his father in a car crash during a visit to Nigeria when he was only 11 and his father 39. The tragic accident which occurred while they were en route a wedding also left young Chiwetel physically scarred. A long, thin scar on the side of his forehead bears testament to his survival from the incident that left him hospitalized for over two months. Chiwetel is the second of four siblings. One of his sisters Zain Asher is a popular CNN correspondent and the other Kandibe Ejiofor is a medical doctor. Chiwetel Ejiofor developed a passion for acting as a teenager and began performing in stage plays at the age of 13 while at Dulwich College. He soon joined the National Youth Theatre before earning a scholarship to the London Academy of Music and Dramatic Art. He has made stage appearances in plays which include Romeo and Juliet, Blue/Orange, and Othello. Ejiofor’s sterling performances and talent on stage soon caught the eye of Hollywood bigwigs. He made his television debut in the 1996 thriller Deadly Voyage. But when iconic film director Steven Spielberg, offered him a minor role in his 1997 feature film Amistad alongside Morgan Freeman, Chiwetel’s upcoming career changed forever. This breakthrough role eventually prompted Ejiofor to drop out of the Academy after his first year. The British actor has worked on many more projects thereafter playing versatile roles like Okwe in the 2002 movie Dirty Pretty Things. He came on as Mike Terry, a martial-arts instructor in the 2008 movie Redbelt and as ANC leader Thabo Mbeki in the 2009 docu-drama Endgame. Perhaps, his role in the 2013 historical drama 12 Years a Slave, as Solomon Northup, a man born free, but kidnapped and forced into slavery is most worthy of a mention. Chiwetel Ejiofor’s contributions to the industry have earned him several accolades including three Golden Globes nominations. But his outstanding performance in the historical drama 12 Years a Slave fetched him bigger recognition globally. For the success of the movie, he received an Academy Award nomination for Best Actor in 2014, as well as a nomination from the Golden Globes. He received an Emmy Award nomination for his performance in the mini-series Dancing on the Edge. Ejiofor has further been recognized with wins at a plethora of film festivals. The talented TV-personality has consistently portrayed good performances both in lead and supporting roles in many movies through his career. Chiwetel who says acting has never really been about the money but a way of exploring some deeper question about himself has been able to earn a good sum from his efforts in the industry with a net worth estimated at $12 million. 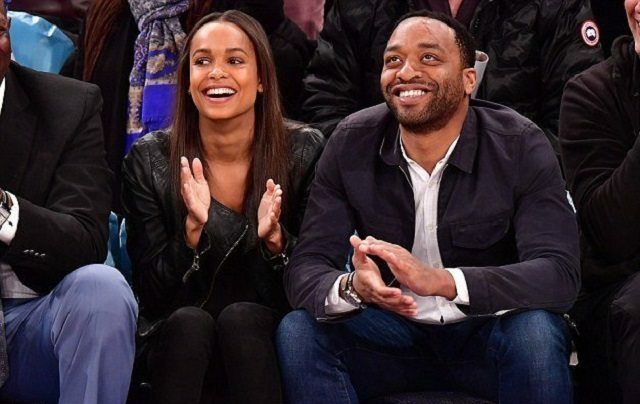 Is Chiwetel Ejiofor Married With Wife and Kids? Ejiofor has an interesting love life and has been linked to a few gorgeous women. He has been in romantic relationships with celebrities like Naomie Harris from (2000 to 2007) and is also rumored to have dated Lupita Nyong’o sometime in 2012. From 2013, Chiwetel Ejiofor enjoyed a love affair with Canadian actress, Sari Mercer. The pair, however, had a short-lived relationship after dating for a few years and broke up with neither party revealing the real reason behind their split. Shortly after the break up with Mercer, he began dating Australian model, Frances Aaternir in September 2015. Chiwetel and Frances who have been seen together at various occasions are going strong and show no signs of a split. Ejiofor isn’t married nor does he have any children yet but he hopes someday life will help him sort out those decisions and events. Though not gay, the British star is also an LGBT supporter who condemns gay people hiding their identity and sexuality. Handsome Ejiofor is not one of your tallest celebrities neither is he the shortest. The 12 years a slave star stands at 5 feet 10 inches and weighs 72 kg (158 lbs).